Located directly south-west of the Caloundra CBD, Golden Beach is a tranquil haven lining the shores of the pristine Pumicestone Passage. Settlement of the area dates from the late 19th century with land used primarily for farming and grazing. It began growing in popularity as a tourism and fishing destination in the 1950s, with rapid growth occurring from the 1960s into the 1980s. Today Golden Beach is in high demand for its family-friendly atmosphere, housing affordability and accessibility to beaches and shops. However the biggest attraction remains its stunning natural beauty, with the protected passage providing the perfect venue for sailing, swimming and whetting a line. 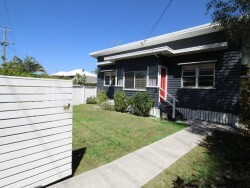 Current Rental Properties Available In "Golden Beach"
COSY TWO BEDROOM UNIT, 100M TO THE WATER! COSY RENOVATED UNIT, CENTRAL TO EVERYTHING! LARGE TWO BEDROOM UNIT ON CORONATION! 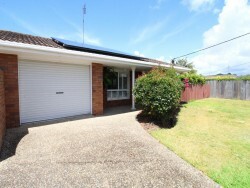 Current Properties For Sale In "Golden Beach"
VIEWS TO BRIBIE AND BEYOND! OCEAN AND MOUNTAIN VIEWS GALORE!